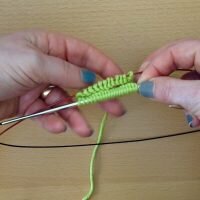 One of the methods on knitting in the round. I do not have a preference and believe that we need to know all ways to do it and choose one that works best for the project. Almost flawless joining in the rnd.